Difficult to put into words the importance and sheer rarity of this offering. Part of what makes the 1936 V355 DiMaggio so special is its inherent scarcity, but this detail has also keeps it from the public eye and even some advanced investors. Yes, this card does exist! Offered here is a wonderfully fine example of Jolting' Joe DiMaggio's true rookie card. The undisputed king of rookie productions from all of the 1930s and widely regarded as a critical entry in any world class investment caliber portfolio. Only problem is that the scarcity prevents all but a select few fortunate and opportunistic investors from owning one. In fact, the offered PSA 3 is in the top two-dozen examples known to exist, and as such provides an opportunity rarely afforded. Rarity aside, the offered PSA 3 is truly stunning for the grade. Accurately assessed on account of even corner wear, but the centering and surfaces are magnificent for the issue and generally present this card at a level far superior to the assigned technical grade. The centering is also wonderful for the issue. The card stock is completely void of wrinkles or creases to boot. All told this presents what is easily the most exciting dollar-for-dollar investment opportunity we've presented from the 1930s. 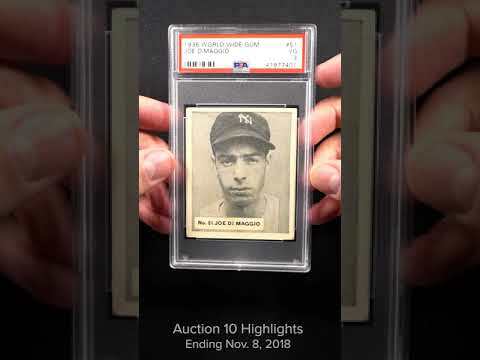 Compared to the 1925 Exhibit Lou Gehrig RC and its recent assent to a $50k++ card in VG, the future seems extremely bright for similar museum worthy rookie rarities like this V355 DiMaggio. We love this card and can't recommend it highly enough. An all-around special piece of history, and presented in rare form. Rates a '3' on our eye appeal scale. Part of a mind blowing set break of arguably the scarcest mainstream production from all of the 1930s. All told this set would challenge for the market's #1 position on the PSA Registry and as such represents a tremendous and highly unique opportunity to acquire cards simply never seen. 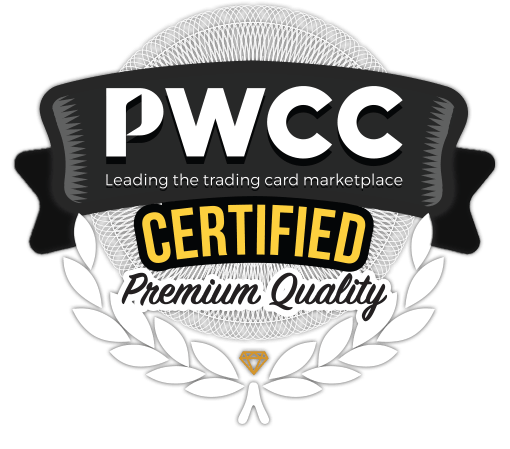 All cards have just returned from PSA, having survived their strictest ever standards, and generally portray strong qualities relative to the technical grades assigned. We are proud to offer this assembly to the investment marketplace, free of reserve of other restriction. One of over 16,000 cards, lots and sets up for bid in our 10th Auction of 2018. Click on the link above to view the other PWCC auction lots.